Emerging scholars have limited opportunities for systematic orientation in the research resources of Yiddish Studies. As Zachary Baker has commented elsewhere, “information literacy” is something that graduate students and faculty are likely to attain informally and on their own; classroom training is generally not available for this purpose. That’s why we’re publishing this online bibliographical series devoted to research resources in Yiddish Studies. 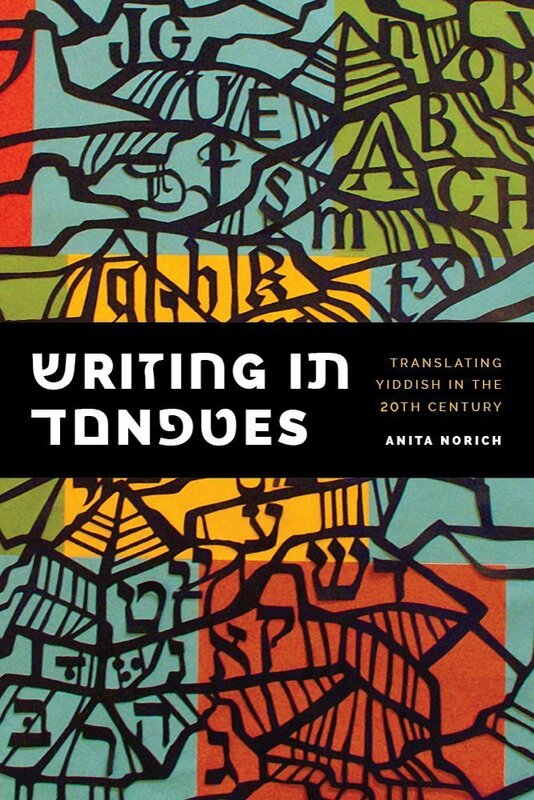 It builds upon a day-long workshop devoted to resources in Yiddish Studies, which Baker led in April 2015 at the University of California-Berkeley. “Meta”-resources – bibliographies, web gateways, online scholarship, indexes, library and archival resources, encyclopedias. Full-text electronic resources in Yiddish Studies. 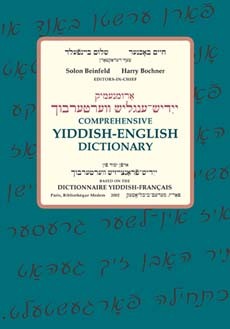 Yiddish linguistic scholarship, including dictionaries. Bibliographies of imprints (by country or region). Anti-Semitism and the Holocaust (Yiddish focus). געוויינטלעך, ווען אַ גראַדויִר־סטודענט פֿאַרענדיקט זײַן דיסערטאַציע, ווייסן ווייניק מענטשן וועגן דעם תּוכן, אַחוץ די פּראָפֿעסאָרן פֿון זײַן אָפּטייל. מאַרק סמיטס דאָקטאָראַט טראָגט אָבער אַ ספּעציעלן באַטײַט, בפֿרט פֿאַר דער ייִדיש־וועלט: ער שרײַבט וועגן די חורבן־געשיכטעס וואָס פֿינף היסטאָריקער האָבן אָנגעשריבן אויף ייִדיש, און זענען במילא די אַלע יאָרן איגנאָרירט געוואָרן פֿון דער אַקאַדעמישער וועלט צוליב אַ פּשוטער סיבה: ווייניק היסטאָריקער קענען די ייִדישע שפּראַך. סמיטס 536־זײַטיקע אַרבעט, „די ייִדיש־שרײַבנדיקע היסטאָריקער און דער קאַמף פֿאַר אַ חורבן־געשיכטע פֿון ייִדישן קוקווינקל‟ אַנאַליזירט די ייִדישע חורבן־געשיכטעס אָנגעשריבן פֿון פֿינף היסטאָריקער: מאַרק דוואָרזעצקי, ישיעה טרונק, פֿיליפּ פֿרידמאַן, יוסף קערמיש און נחמן בלומענטאַל. די דיסערטאַציע נעמט אויך אַרײַן סמיטס איבערזעצונג פֿון דוואָרעצקיס עסיי, „פֿאַרשידן זענען געווען די וועגן‟, אָנגשריבן אין 1946. דעם שבת פֿאַלט אויס דער 74סטער יאָרצײַט, לויטן סעקולערן קאַלענדאַר, פֿונעם גרויסן ייִדישן פּאָעט מרדכי געבירטיג ז׳׳ל, וועלכער איז אומגעקומען אין דער קראָקאָווער געטאָ, אין 1942. אַ לעגענדאַרע פּערזענלעכקייט אין דער וועלט פֿון ייִדישער מוזיק בעת זײַן לעבן, איז ער אין דער זעלביקער צײַט געווען צום־מערסטנס אַנאָנים: אַ פּשוטער סטאָליער, וואָס האָט אין זײַן פֿרײַער צײַט געשריבן לידער וועגן די אָרעמע ייִדן פֿון קראָקע, וווּ ער האָט געוווינט זײַן גאַנץ לעבן. ס׳איז שווער אויף איין פֿוס איבערצוגעבן די וויכטיקייט און השפּעה פֿון געבירטיגס לידער. אויף דעם וואָלט מען געדאַרפֿט אַ גאַנצן אַרטיקל, צי אַ דאָקומענטאַר־פֿילם. ס׳איז כּדאַי פּשוט צו דערמאָנען, אַז פֿון אַרום 100 לידער זײַנע וואָס זענען אונדז פֿאַרבליבן, הערט מען אָפֿט כאָטש אַ טוץ פֿון זיי און זיי בלײַבן צווישן די סאַמע באַקאַנסטע ייִדישע לידער איבער דער גאָרער וועלט. The very first seminar on Yiddish literature that I took in graduate school was called “Yiddish Modernisms in Eastern Europe Between the Two World Wars.” I wrote a seminar paper on Moyshe Kulbak’s poem “Vilne,” and thank goodness, because here I am don’t-ask-how-many years later writing my dissertation, in part, about concepts of place in Kulbak’s writing. I still have my copy of the poem from that course, absolutely covered in notes and definitions of Yiddish words and cultural concepts I learned from reading that poem. Maybe this was the first time I read the word “Bund” in Yiddish? And I distinctly remember learning about the cultural beliefs associated with water carriers from the poem. A great poem like “Vilne” is always something of an iceberg, its total mass and weight and meaning and power invisible at first sight, its larger shape only becoming perceptible with careful investigation. But it becomes all the more iceberg-like from the position in which I and many young readers and potential translators of Yiddish find themselves: learning a foreign language and culture, especially given the extra challenges of immersing oneself in the many layers of Yiddish culture that inform any one work of literature. By extra challenges I mean the extreme disruptions to Yiddish cultural continuity given the many upheavals and catastrophes Yiddish underwent in the twentieth century: the disruptions of World War I, emigration, pressure to assimilate, World War II, Stalinism. Not only is the poem an iceberg, hiding most of its mass, but so much of the culture, the material history, the contexts of the poem are hidden from us as well, requiring real dedication from the reader and so much more so from the translator to understand. “Coney Island” is one of a series of ritmish retsitatsye (rhythmic recitation) poems written by Victor Packer and performed by him live on New York radio station WLTH in the late 1930s. 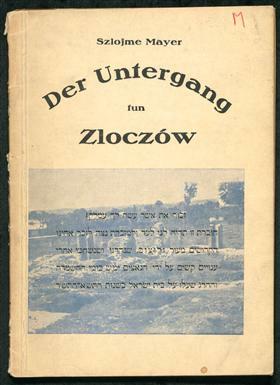 Never before published, the poem was transcribed from surviving broadcast disks housed at the Henry Sapoznik Yiddish Radio Archives at the American Folklife Center of the Library of Congress. Additional transcription by Michael Yashinsky. Online DP camps collection is poster child of post-war Jewish rebirth. A real must if you want to invest in just one book for this module! There is a review of the dictionary here. The Yiddish Summer Weimar has now become a permanent fixture on the international festival calendar. For 15 years, there are four-week learning and Concert Festival – and that’s why is the motto is also “Yiddishkayt [in Yiddish lit. : “Yiddishness and/or Jewishness”] Revisited”. Lunch break in the Ottmar Gerster Music School in Weimar. The chairs set out in a circle in the auditorium are empty. A man sits at the piano and plays, just for himself. It is Ilya Schneyveys from Riga, professor of Klezmer music. Even as a child he came into contact with the Yiddish language. Since 2006, Ilya has been coming every year to Weimar, to teach and to inform himself about new developments. In Lviv, formerly Lemberg, where 120,000 Jews lived before the Holocaust, and only 800 after 1945. The cantor Shulamit Lubowska has brought the music of Jewish composers to the Philharmonic in Lviv. During the Soviet era, issues such as the Jewish past were taboo – but now Jewish-Ukrainian songs are to be made audible again. The Jewish cantor Shulamit Lubowska stands on the stage of the Philharmonic in Lviv. She is one of the soloists, who were on tour in the Ukraine with the Weimar Chamber Choir of the Academy of Music a few months ago . On the program: music of Jewish composers such as Israel Goldstein, Louis Lewandowski, a Kiddush by Kurt Weill, an Aramaic prayer by Maurice Ravel, works by Meir Finkelstein and many others. “We want to bring these very consciously Jewish songs to the stage,” says Jascha Nemtsov, a professor of Jewish history of music in Weimar. His goal is to collect Jewish-Ukrainian songs from archives, to explore them and let them be heard once again. Theodore Bikel, who has died at the age of 91 in Los Angeles, was a shtarker, unlike many showbiz stars who merely play shtarkers on TV or onscreen. The barrel-chested, booming-voiced actor and singer had talent and stamina, the kind that allowed him to play Tevye in “Fiddler on the Roof” over 2000 times. After over sixty years as a folk singer Bikel offered resonant, blunt, direct performances that captivated audiences. A lifelong fighter, as a youngster in Vienna after the 1938 Anschluss, he returned home bloodied from schoolyard brawls with anti-Semitic classmates, as he recounted in “Theo: An Autobiography” . Bikel was equally combative as an ambitious young Israeli actor after his family made Aliyah. Bikel’s Bukovinian Jewish father Josef, who toiled in an insurance company, was a deeply cultured, ardent Zionist who made sure his son’s Hebrew lessons began at age five, before any other schooling. At-home readings of Hebrew and Yiddish classics made Bikel ultra-aware of Jewish heritage, as to be expected for a boy named after Theodor Herzl, whose birthday he shared. In the summer of 1948, an amateur folklorist named Ben Stonehill recorded more than 1,000 songs from Holocaust survivors in the lobby of New York City’s Hotel Marseilles. This week, 66 of those songs become available online through the Center for Traditional Music and Dance, complete with translations; another 300 songs will go up over the next few months — all free for anyone to hear. Some sing in Russian; some sing in Polish, Czech, Lithuanian, Hebrew. But the majority sing in Yiddish, a language whose speaking population was dramatically reduced during WWII. That loss is a big part of what brought Stonehill to that lobby. He was looking to capture the sound of something he’d feared might disappear. Yet more fantastic content added at Leyenzal. 2 new lectures loaded up and plenty of materials for students of Yiddish. Well worth another look. Leyenzal is an online educational resource for readers and students of Yiddish. Every two weeks, users are able to download an excerpt of a novel, a story, or a selection of poems along with an original Yiddish-language lecture about the text. The site’s goal is to encourage active readership by making this incredible body of literature more accessible. Lecturers include some of the most sought-after educators, researchers, and activists in the world of Yiddish today. The site’s readers include individuals, khavruses (learning partners), and reading groups who engage with the materials all around the world. Remembering YIVO archivist Chana Mlotek, one of the major figures in the revival of klezmer. When she was interviewed by The Jewish Week in June 2012, the outstanding Yiddishist Chana Mlotek confided that at age 90 she had lost a bit of her ferocious productivity. A unique and generous resource for Yiddish scholars and Jewish musicians, Mlotek died at her home in the Bronx Monday, Nov. 4, at the age of 91. Her death was announced by her sons Mark and Zalmen. The Nordlicht’s are just one of many families who have discovered a relatives’ Shoah testimony online through the Holocaust Oral History Collection website, created by the Hebrew University of Jerusalem’s Oral History Division in the Institute of Contemporary Jewry. It was launched last Thursday to overlap with the 75th anniversary of Kristallnacht, the Night of Broken Glass. Yiddish Sources is a portal for anyone who is interested in Yiddish and Yiddish Studies. 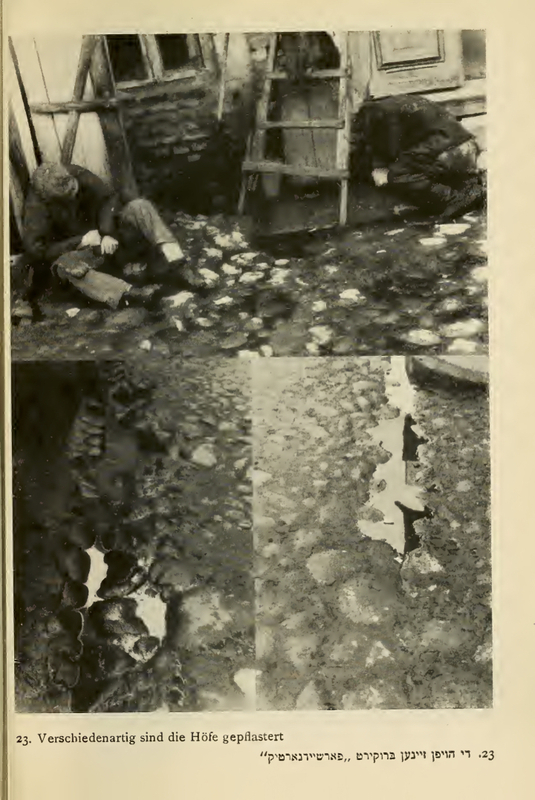 It is part of the WWW Virtual Library History Central Catalogue. The information on this website is arranged in three main sections: reference, research and events. A new addition is the Yiddish Studies Bibliography, which lists relevant scholarly literature in the field of Yiddish Studies. Yiddish sources is a work in progress and new content is regularly added. It is easy to stay updated by email, using our RSS feeds or by following us on Twitter and Facebook. Registered users can create a personal list of bookmarks and leave comments. Click here to access a list of Yiddish-language sources you might find useful. Jewish Women’s Archive, Brookline, Mass. A useful list of Yiddish texts, available from Mendele, the online forum for Yiddish Language and Literature. Well worth a look. Includes texts about life in the ghettos, poetry, belle lettres, stories and novels. Click here to access the texts. Eyewitness testimony, filmed and compiled by Dovid Katz, of the onset of the Holocaust in Latvia. Eyewitness testimony, filmed and compiled by Dovid Katz, of the onset of the Holocaust in Lithuania on 22 June 1941 and in the following days, in some cases before the arrival and/or establishment of authority by German Nazi forces at various localities. Some testimonies carry parts of the narrative further into July and August of 1941. This excellent site, part of Haifa University’s site di velt fun yidish contains some 35 recitations of short stories by such classic Yiddish writers as Sholem-Aleikhem (shown in picture), Peretz, Moykher-Sforim, Bergelson, Ash and so on. It also has full texts of the stories downloadable in PDF in the original Yiddish so you can listen whilst you read to help you with your pronunciation. All stories read by Sara Blacher-Retter, in beautiful litvish Yiddish (Yiddish from Lithuania). 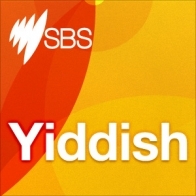 This site contains podcasts for the Australian Special Broadcasting Service (Public TV). Podcasts feature latest news and current affairs, cultural, traditional, Shoah, historical, entertainment, comedy, theatre and community segments, as well as interviews with local and overseas guests. פּאָדקאָסטס אַנטהאַלטן נײַעסן און לויפֿיקע ידיעות, קולטורעלע, טראַדיציאָנעלע, חורבן, היסטאָרישע, פֿאַרוויילערישע, קאָמעדיע, טעאַטער און קהלישע אויסצוגן פֿון פּראָגאַמען ווי אויך געשפּרעכן מיט געסט פֿון הי און אין אויסלאַנד. This site (construction ongoing) presents a fresh selection of the best Yiddish poetry of Poland during the golden period between the two world wars, together with translations into English, French, Polish and Hebrew, and Yiddish sound files: most poems are recorded by native Yiddish speakers. Based in Melbourne Australia, the site uses the services of Yiddish poetry readers and translators worldwide. Read more. This site give access to many of David P. Boder’s recordings of interviews he conducted with Holocaust survivors. The site gives a wide range of useful background contextualisation to the project as well. Extremely valuable resource. Sylvia Schildt: A Yiddish Vort (1996) | In dem Templ (1996). | Akht Kleyne Brider (updated 1996). Click here to read some of his work in English translation. 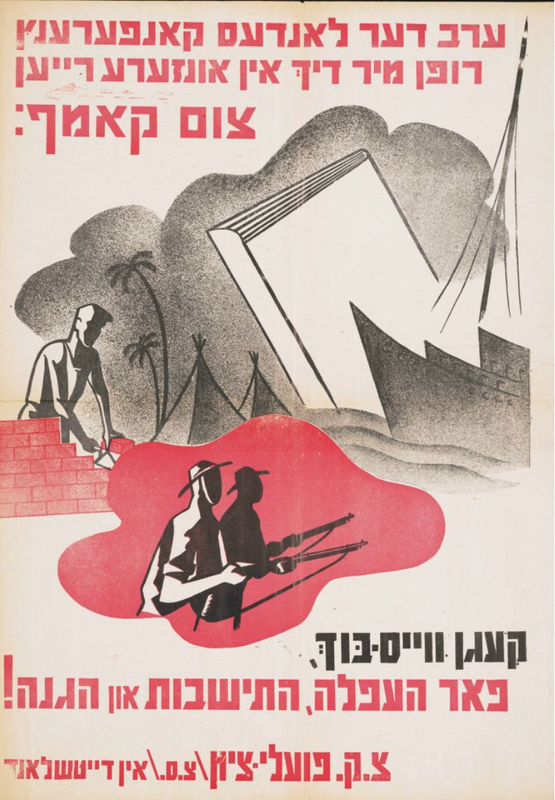 This site is extraordinary – it has a searchable portal of the complete holdings of the Yiddish Book Center, and contains 11,000 digitally scanned and freely available books, some useful video classes in Yiddish conversation and an online bookstore. Absolutely indispensable resource. Click here to read more about Yizker Bikher.